Lincoln's top-selling Canadian nameplate is getting a little pricier as it undergoes updated styling and a new name. 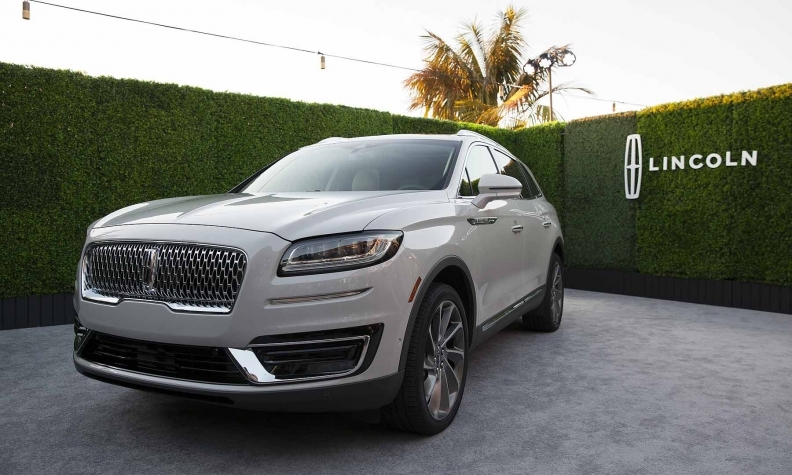 The 2019 Nautilus midsize crossover, formerly known as the MKX, will start at $52,450, including shipping, Lincoln told Automotive News Canada on Wednesday, a day after U.S. pricing was announced. That's 7.3 percent more than the current $48,900 starting price for the outgoing base 2018 MKX. The price increase on the base model in the United States was much smaller at 3.2 per cent. The Nautilus will come in two trim levels in Canada; the Nautilus Select, starting at $52,450 and the Nautilus Reserve, which starts at $57,350, shipping included. In addition to a new name, the 2019 Nautilus, unveiled late last year at the Los Angeles Auto Show, comes with a host of new design elements and technology features. Robert Parker, Lincoln's director of marketing, sales and service, said that everything from the A-pillar forward has been redesigned. The Nautilus is the latest Lincoln vehicle to adopt the brand's mesh grille, which debuted on the MKZ and Continental in 2016. A new 2.0-litre four-cylinder, twin-turbocharged engine that gets 245 hp is standard. Buyers can upgrade to a 2.7-litre V-6 that gets 335 hp. Both will be paired with Ford Motor Co.'s new eight-speed automatic transmission. Auto stop-start is standard with both engines. All-wheel drive is standard in Canada, as it is on the current 2018 MKX. The interior includes improvements that will give the Nautilus best-in-class legroom and headroom, which is a major factor for midsize utility customers, Parker said. Among the available options are 22-position front seats with lumbar massage. The Nautilus will be the first vehicle with Lincoln Co-Pilot360, a suite of standard driver-assist features that consists of automatic emergency braking with pedestrian detection, blind spot information with cross traffic alert, lane keeping system, backup camera and auto high beams. MKX sales are down 15.8 per cent t0 1,176 in Canada this year. Sales of the vehicle in the U.S. are down 15 per cent to 11,026 so far this year, according to the Automotive News Data Center.